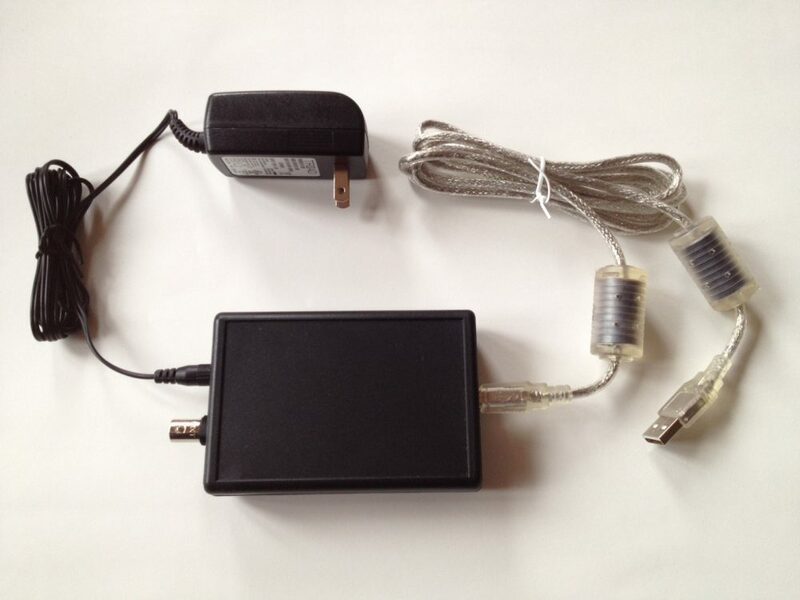 20 Mhz square wave programmable frequency generator. 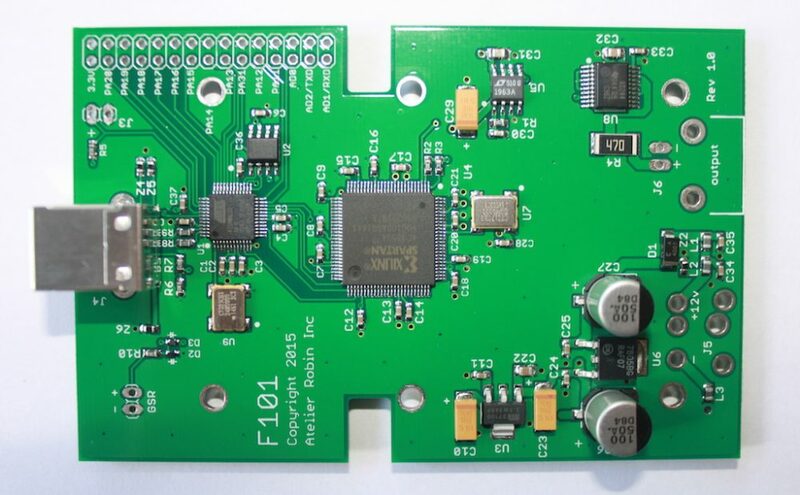 The F165 square wave frequency generator can run standalone up to 1500 program files copied from a PC or Mac. 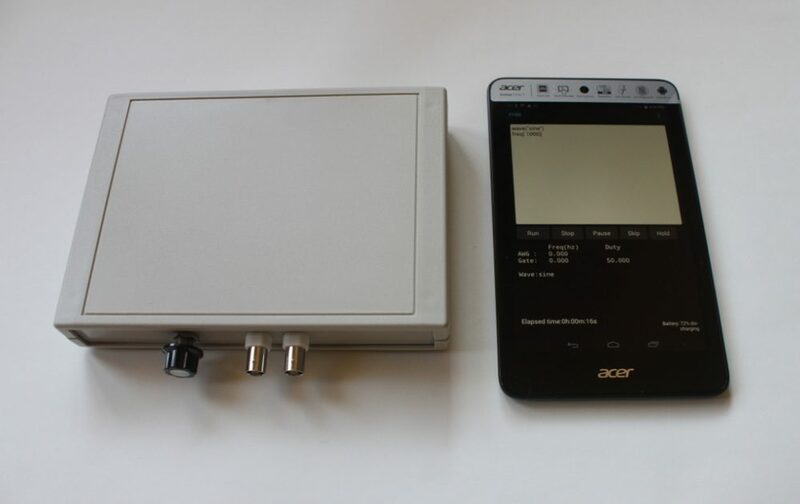 It is also possible to connect the F165 to a computer via a USB port and control it with the F100 4.x software for MS-Windows in the same way our F160 operates from a PC. Program files written for our older F150/155/105/160 are compatible with the F165. The F165 can run programs from a PC and you can copy up to 1500 program files to the generator and then run them standalone. You can also create/edit/run programs from the keypad without the need for a PC. MS-Windows F100 3.0 software to control the F165 from a PC USB port in the same way our current generators operate. 2 external BNC ( I and II) output connectors, BNC I is 5 V TTL, BNC II is variable amplitude. Channels A,B duty cycle programmable in 64 (1.5625 %) steps (when running in positive offset (DC) mode. Note 2: The F165 has 3 independent internal frequency generators (A,B,C) and 2 BNC output connectors (1,2). 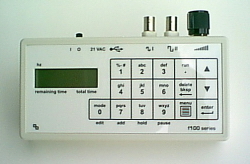 A programmable multiplexer allows you to assign any internal channel(s) to any external BNC output(s) in any combination. For example, BNC connectors 1 or 2 can be individually programmed to output channels A , B, C, AB, AC, BC, ABC . When more than one internal channel is output from one of the BNC connectors, the channels are mixed with a logic AND operation. Note 3: One advantage of this new generator platform is that the internal channels are reconfigurable at the factory. This allows us to make modifications for customers who have special needs such as a finer resolution. If you have such needs, please contact us and we will be happy to quote you a price for a modified F165. Please indicate modifications required and quantity ordered.